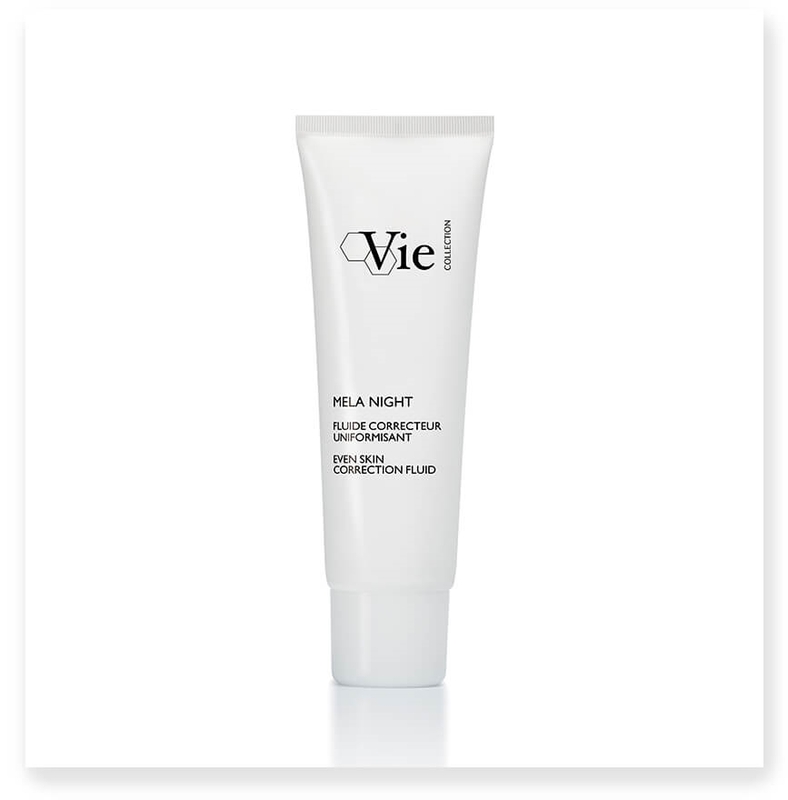 MELA NIGHT EVEN SKIN CORRECTION FLUID, a lightweight moisturizer that combats hyperpigmentation by night, when the skin is in repair mode and pigmentation peaks. 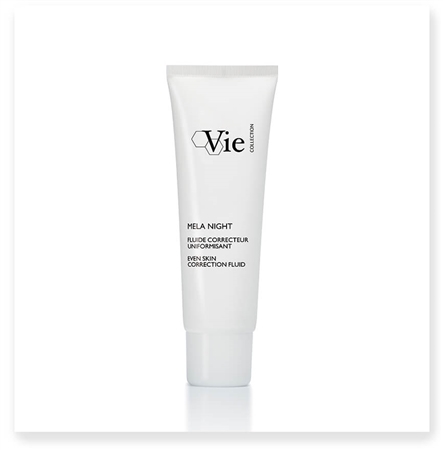 This product takes advantage of the night to act on nocturnal hyperpigmentation and free radicals generated during the day, providing nighttime corrective action on skin tone and dark spots. Apply in the evening to face and neck. Tested under dermatological control.